No, there aren’t actually any rules for wine tasting. Some traditions and etiquette, sure, but never rules. 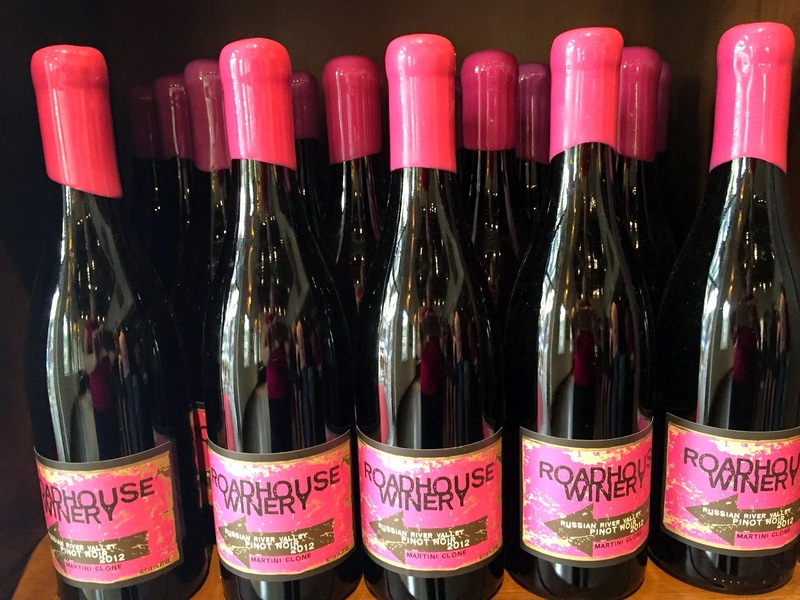 Following our Segwine experience and some fun barrel (and bottle) tasting at Selby Winery, we made our way to the Roadhouse Winery. That’s where we learned a rule: when at Roadhouse, NEVER say anything disparaging about Pinot Noir. You see, that’s pretty much all they use. Tired? Rest a bit here! 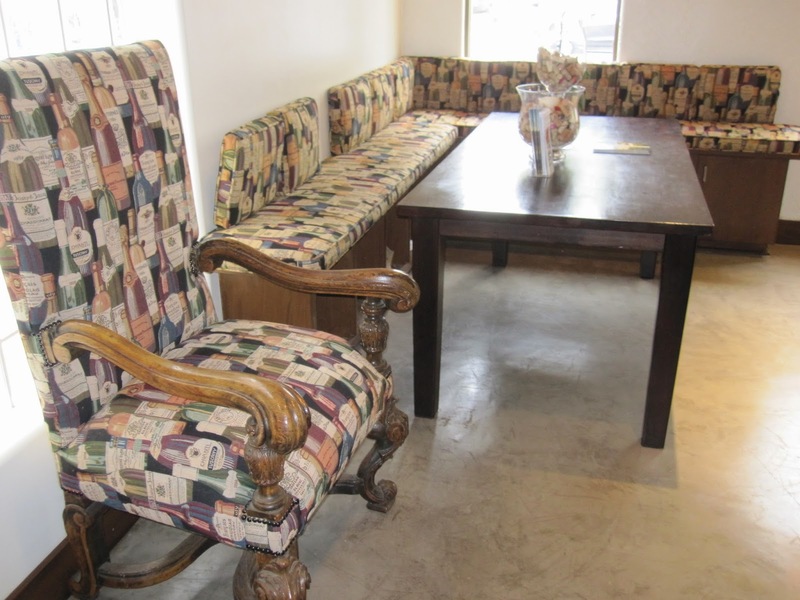 The tasting room was welcoming and abuzz with excitement. There were happy people pouring and happy people tasting. The bar itself was just-right full of tasters, but the room had some comfy couches available if the crush of barrel tasting weekend had become a bit too much. Lots of bright colors and varied finishes blended together to give the entire tasting experience a veneer of artistry and style. The next thing that we noticed was the unique bottle closures. Although dipped wax is common for sealing Port bottles, Pinot Noirs typically get a foil seal. 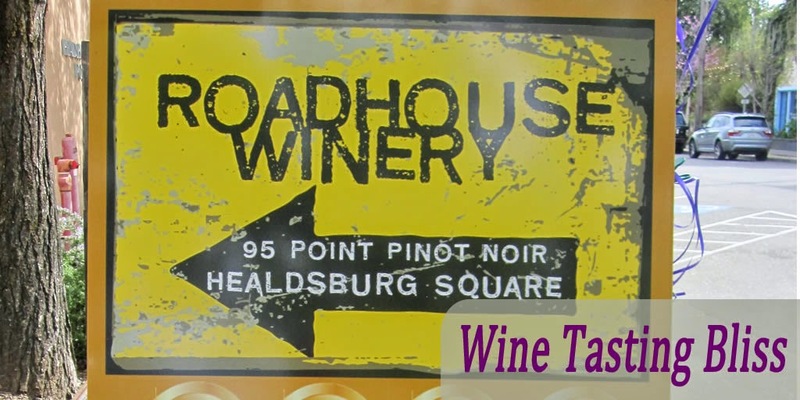 Here at Roadhouse Winery, though, the Pinot Noir is so revered that it, too, receives the dipped wax treatment. Although it doesn’t affect the taste of the wine, it does show the attention to detail on the part of the wine maker. 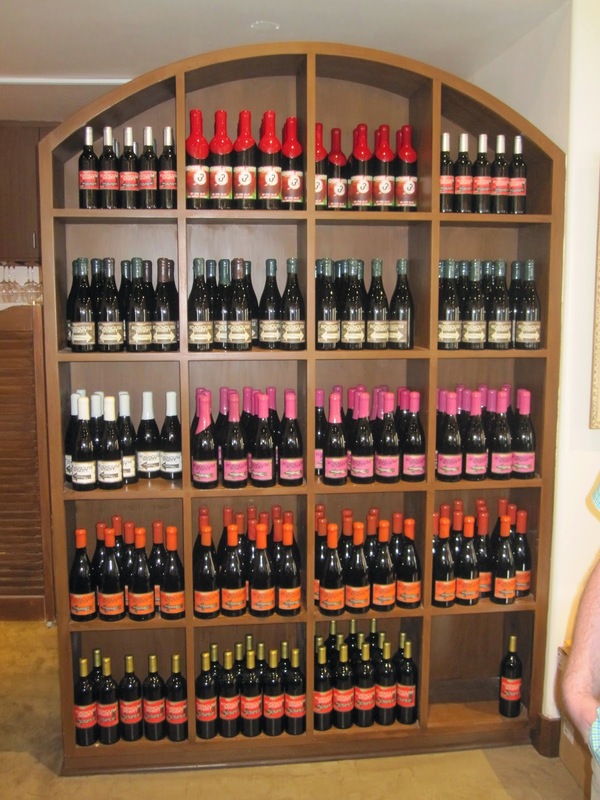 A side benefit: the bottles are very colorful on the shelves because each vintage has its own distinctive wax color. So as previously mentioned, the place was awash with Pinot Noirs. After several weekends touring in Zinfandel country, having some Pinot Noirs to sip on was a nice change of pace. And it must be said, Pinot Noirs are on the top of my varietals list! When you focus on one thing, it is best if you are good at it. Owner/winemaker Eric Hall certainly put his mastery of the varietal on display and has reaped the awards he deserves! Their 2012 Yorkville Highlands Pinot Noir Platinum Label, for example, is a Double Gold Medal winner at the 2015 SF Chronical Wine Competition. We absolutely loved the complex, yet balanced festival of fruit flavors and the long-lasting finish that makes you yearn for “just one more” sip. We liked the 2012 Russian River Valley Pinot Noir Pink Label a bit more than the 2012 Russian River Orange Label Pinot Noir, even though they both won Silver Medals at the 2014 SF Chronical Wine Competition. We tend to like less jam and a bit more spice, and the Pink Label delivered exactly that. 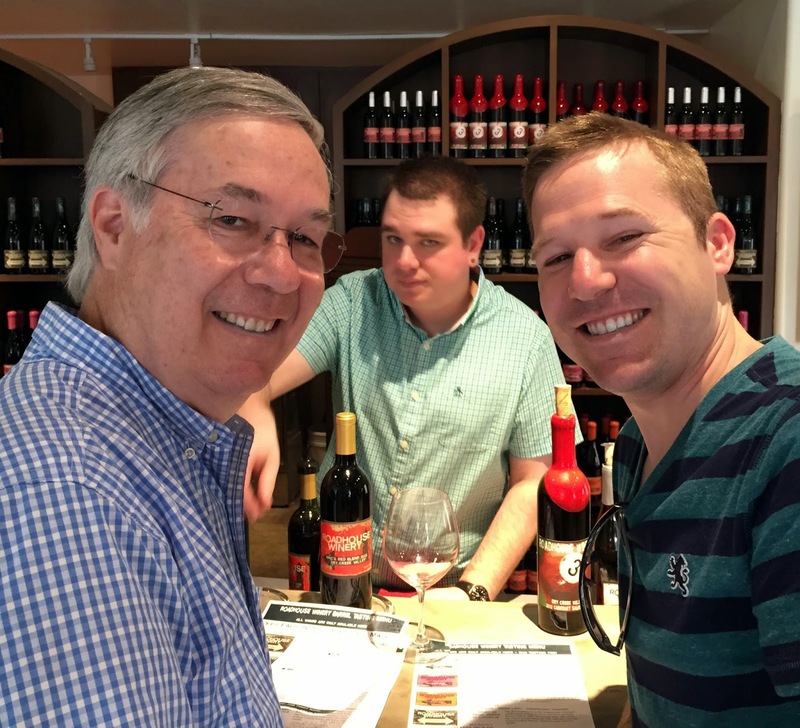 We tasted our way through their entire list of Pinots and a few non-Pinots (Eric is not a fanatic), and the last was definitely not the least! Yes, that means Port. Not just Port, as if that’s a thing, but a chocolate Port. Port and chocolate in one delicious sip. Bam! A great way to wrap up a tasting. Reluctantly, we said goodbye to tasting Room Manager Sean, purchased some Pinots to take with, and made our way out into the wilds of Healdsburg. 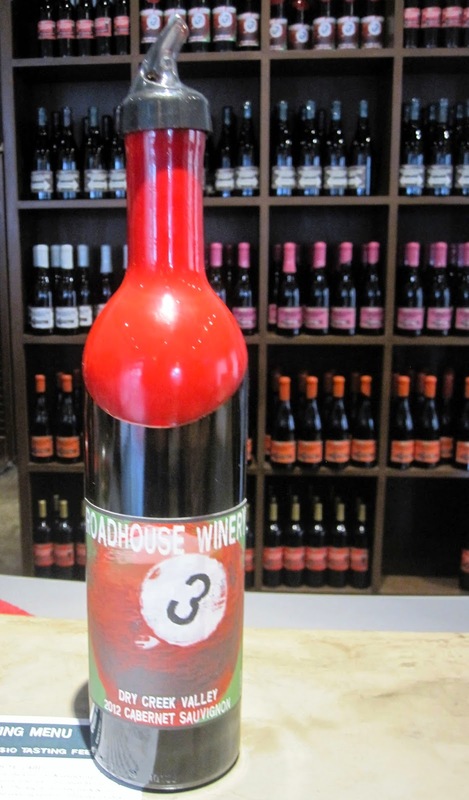 Have you visited Roadhouse? 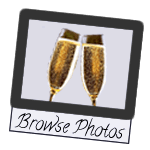 Click to give'em a tweet of support!